Well done Abbey, Absolutely brilliant! 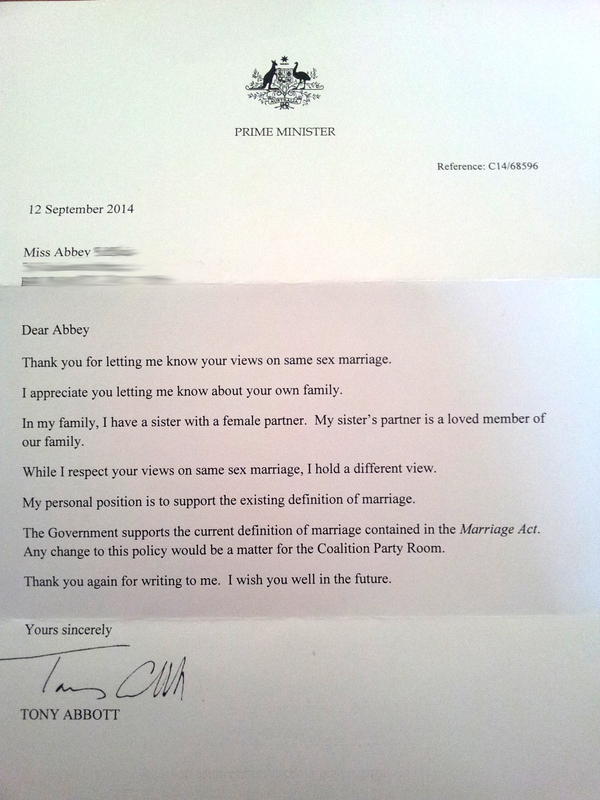 Mr Abbott writes in short sentences too just like he speaks……. Treating your sister and the woman she loves as inferior to you and your wife is NOT love, it is hate and that is how history will remember you.